Everyone loves the summer, especially kids and who can blame them? They get to play outside, ride their bikes and go swimming along with a myriad of other favorite activities. However, there are days that it rains or it is just plain too hot to be playing outside safely. Those are the days that can cause fear and dread among parents and caregivers. Possibly the mere thought of trying to keep a child busy and entertained inside is too much for you to even think about. And the thought of entertaining more than one child may be cause for panic as far as you are concerned. Sit back, take a deep breath and relax. Just because the weather is not on your side for the day doesn’t mean the kids can’t have fun. Nor does it mean you will be pulling your hair out by the end of the day. Do you remember those wooden blocks you had as a kid? Well, they sure have changed. There are some really amazing sets available now. For example, there are blocks relating to different types of cultures and their architecture. 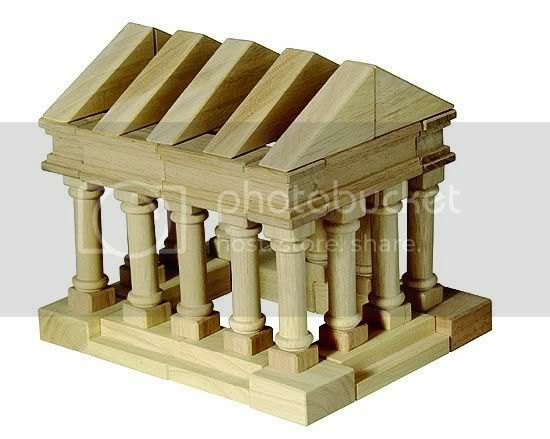 There are Greek blocks with lots of pillars and sleek lines. The Oriental block set has a pagoda style to it and the Arabian block set is just how you would think it would be with the more rounded and exotic designs. Of course, there is a favorite among kids and that is the Castle block set where they can build towers and have moats surrounding their castle. Wooden blocks are great for when you have more than one child too. They can work together on a big project or on their own with a smaller version. Kids love these wooden blocks and you just may end up on the floor with them building together.